How do people on the other side of the world live? What do their homes look like, and how are their everyday living routines changing? Floornature takes a look at how people live in four recent homes, one in Kuwait, one in Switzerland, one in Australia and one in Mexico. What is the meaning of dwelling today? What are our houses like? And what are the houses of people who live far away like? We get used to certain rituals, certain ways of organising our day, certain family structures, and tend to think that people all over act the same way as us. At Floornature we went to see how ways of dwelling are changing by looking at recent residential projects in distant places with very different climates and contexts. Climatic conditions are the key factor in Wafra Vertical Housing apartment tower on the waterfront of Salmiya built by AGi Architects of Kuwait City. The new apartment tower is a modern version of the traditional wind tower, inspired by a sophisticated passive cooling system that was already used in ancient Persia to allow buildings to give off excess heat accumulated by their walls in summer. In the Wafra tower, the apartments are built around an inner courtyard rising the full height of the building, with windows of different shapes, proportions and reciprocal positions on it. On the ground floor and mezzanine level is a swimming pool, a big pool of water contributing to the thermal exchange. 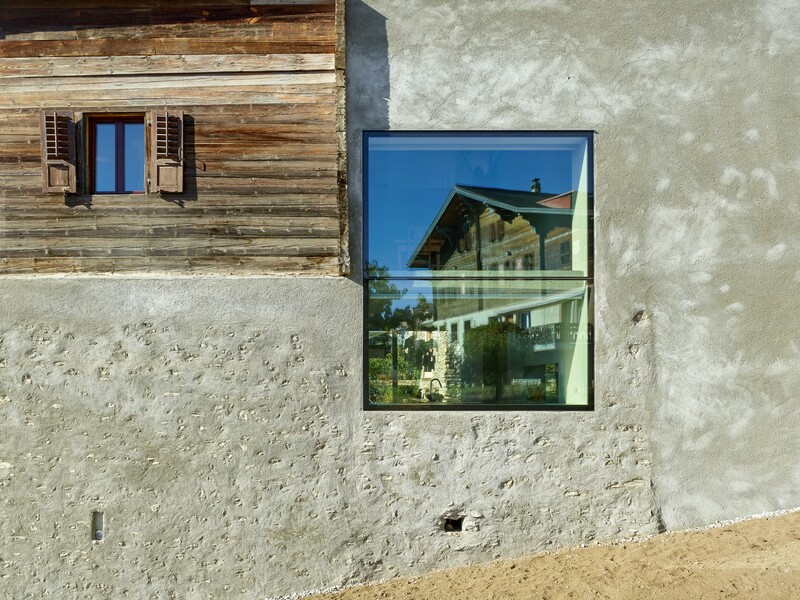 The Reynard Rossi-Udry home in Ormône, in the Canton of Valais, is a case of renovation of a traditional Alpine home. Savioz Fabrizzi architectes adapted the existing building materials and volumes to suit the requirements of living today. The coat of white plaster added in recent years was removed to return to the older, traditional wall covering of “pietra rasa” face stone, combining stone with plaster and leaving the pebbles visible underneath the layer of finishing mortar. The new additions are made of concrete, not polished but left bare and brutal. Though it is a new construction, the House of Books Casa built by Luigi Rosselli on the north coast of Sydney has a prestigious history, tracing its roots back to Victorian cottages. Luigi Rosselli is familiar with the memory of the place, and his architecture updates it while citing historic timber structures, glassed-in verandas and a way of blending the built with the natural. Inspired by a stack of books resting casually on a table (a reference to the proprietor’s interest in calligraphy), each level above ground is set off with respect to the others and positioned differently in relation to the landscape, in an apparent dynamism providing the interiors with a vast range of perspectives. The fulcrum of rotation of the floors is the oval staircase on the eastern side, built around the elevator shaft. The oval floor plan, white plastered walls, covering of the steps and oak wood handrail, as well as the concept behind the design of the space, may be recognised in Rosselli’s other homes. Young Mexican studio DOSA addresses more basic issues in Casa Palmas, in Texcoco’s Las Palmas district, a participatory residential project built on a tight budget to house a family including people of different generations. As the available lot was small, it was essential to guarantee minimal living parameters such as ventilation and light ratios and privacy, factors which are not to be taken for granted in Mexican homes, many of which are built by the owners. In Casa Palmas the home’s recognisability becomes an element ensuring well-being, especially in a large family that identifies with the home as building; this is why bare brick is used as the only building material, favouring an image of unity as an expression of distinction and protection from the world outside.